February 16, 2015 -- Progress Thailand Solar power is a growing industry in Thailand. 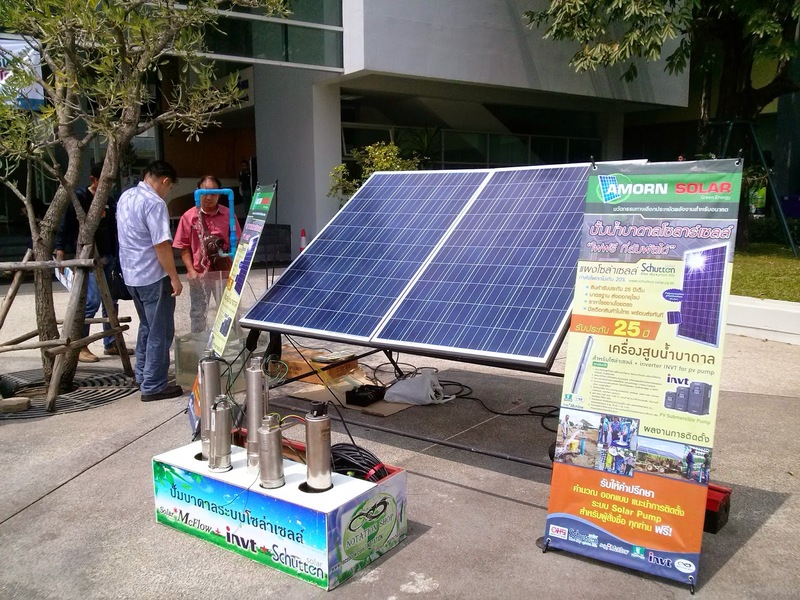 While attending the "solar roof" conference at Thailand's Mahidol University this month, attendees saw the exponential adoption of solar power by industrial players and homeowners alike, both in highly developed areas of the country as well as in rural agricultural areas. Thailand -- Maximizing use of otherwise unused rooftops. We've previously mentioned one of those areas in Pa Deng, Phetchaburi province where an entire district was off-the-grid and using a combination of solar and biogas energy to power their homes and cook their food. One of the keys to keeping alternative energy solutions a growing industry in Thailand is adding commonsense incentives to its use. Did you know that until recently it was impossible to sell energy back to the national power grid? Homes producing an excess of energy had no where to send it. What a waste! More recently, a quota was set, allowing private homeowners to produce energy from solar panels and sell excess energy to the national grid, but only to an extent. Still, this is less than ideal. The more power that can be sold back, the more willing people will be to adopt alternative energy solutions and help decentralize both energy production in general, and dependency on traditional fuels like gas, oil, and coal. In decentralizing energy production, the benefits and profits are decentralized as well. Solar products on display at this year's "Solar Roof Thailand" convention. Homeowners already have an incentive to power their homes with alternative energy, a steep reduction in utility bills. 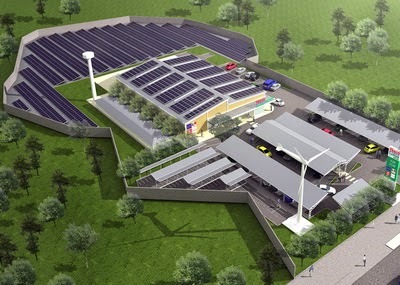 With the ability to sell excess energy back to the national grid, alternative energy will be impossible to resist. Luckily, there are people working right now on changing this for the better, taking cue from other nations that have successfully converted their power grids to a more collaborative model of energy production. The result will be the continued exponential growth of solar power, and perhaps other forms of alternative energy in the hopes of best utilizing rooftops and other unused or underused surfaces. With incentives in place, an already commonsense use of alternative energy to slash energy prices will become a commonsense use of alternative energy to make a profit from energy production. Despite some shaky legalities now regarding selling power back to the national grid, homeowners and businesses across the country can continue powering their own property. The more people demonstrating the benefits of alternative energy to others, the more who are likely to follow, and the more drive their will be to arrange commonsense frameworks to maximize the benefits of alternative energy for everyone.